I apologize to the Girl Scouts of America. While their cookies are oh-so-delicious, one of the ingredients in them is sorbitol, a sugar alcohol which unfortunately makes me a sick and sad individual. I was depressed to discover this fact, but even more bothered by the fact that the boxes of cookies contained such a litany of unpronounceable ingredients that I’m not sure what I was eating when I did endure the nausea for a Samoa. I had one of those “As Seen on TV” moments where the person throws their hands up in defeat and says aloud, “There’s GOT to be a better way!” Usually followed by a thrilled voiceover actor assuring the person that yes, there most certainly is a better way. Sorry ladies, but butter always wins over partially hydrogenated vegetable oil. Regardless of digestive distress or non-food ingredients, I missed Samoas / Caramel Delites. I’d still give in and buy a box to share, justifying that the proceeds helped young girls, and cookie sales taught entrepreneurship and encouraged social skills. Well, I think I’ll just be making an annual donation now, because I’ve done it. I’ve really done it. 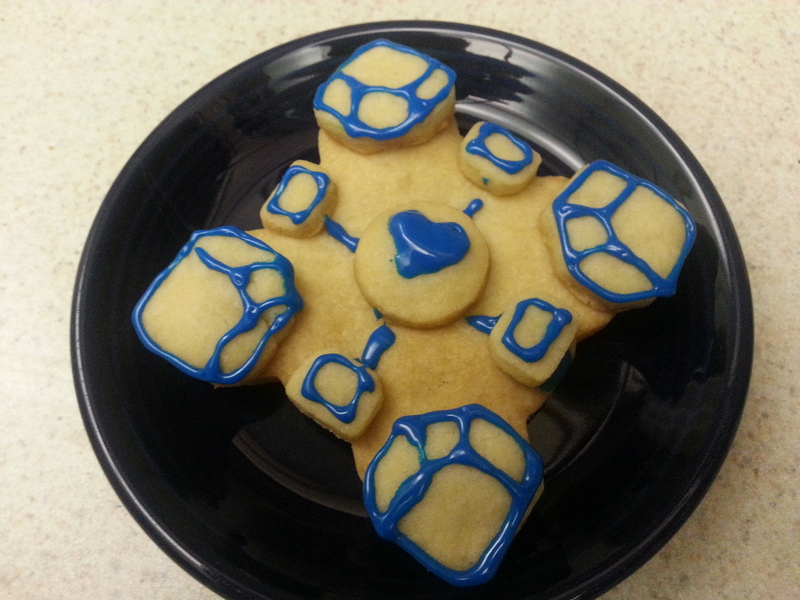 I’ve made a cookie better than Samoas. No joke. Doubt me? Please wait while I retrieve the co-workers that took a batch of these down in about 5 minutes. I may never have been the most competitive Girl Scout when it came to selling cookies, but making them, OH, I’ll take you on. 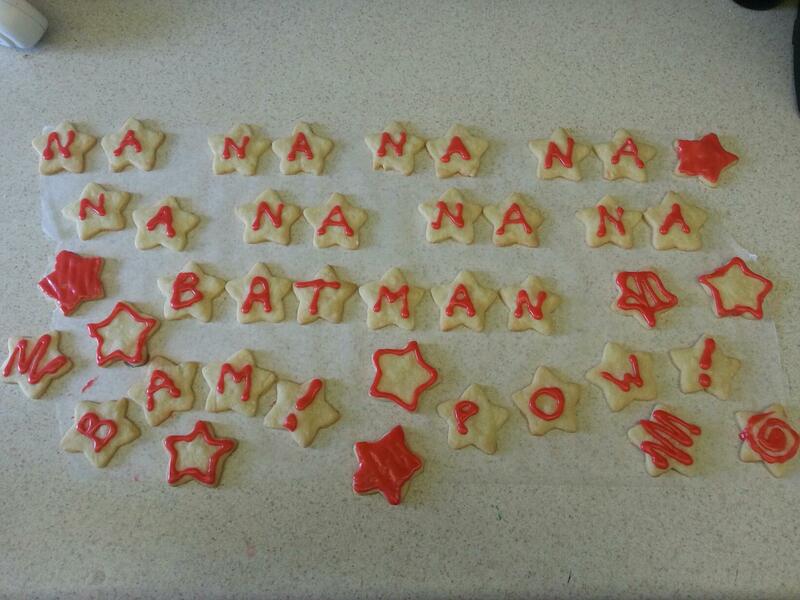 Then we’ll see who gets the “Cookie Star” merit badge. 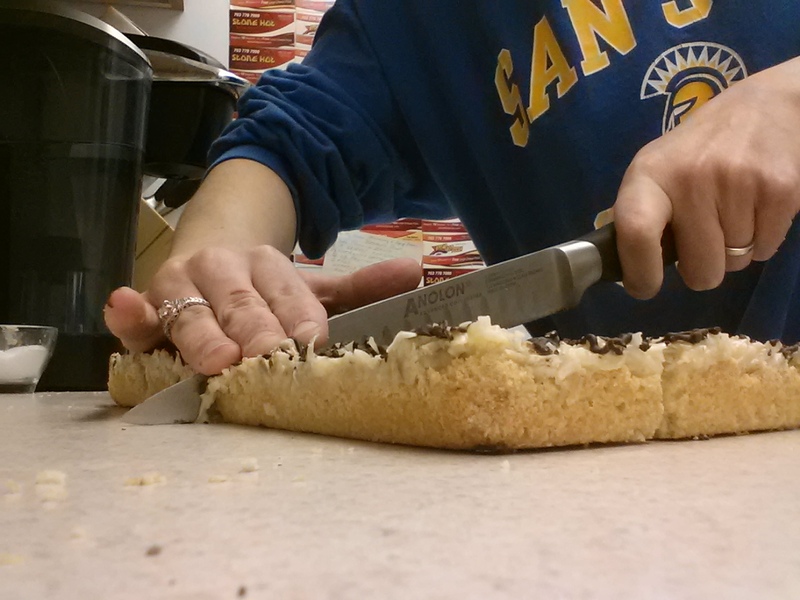 Begin by making the cookie layer. 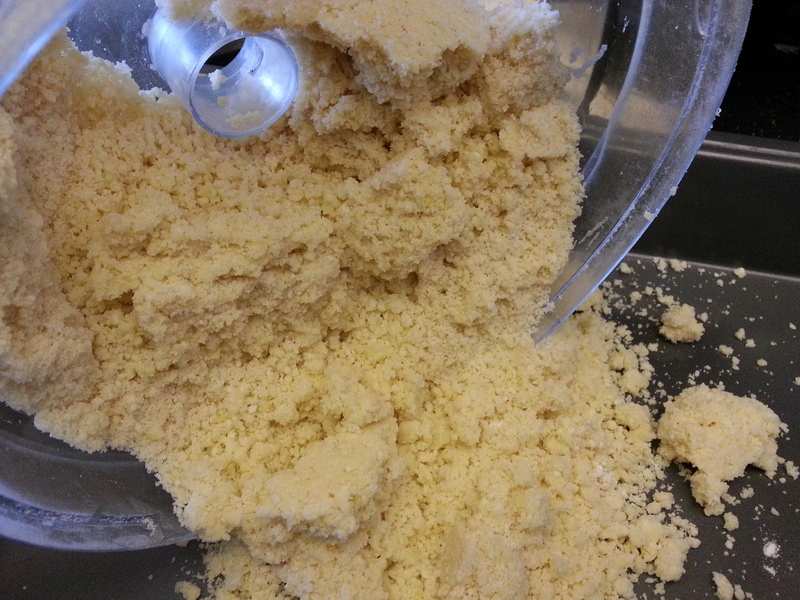 Combine the flour, sugar, and salt in the bowl of a food processor. 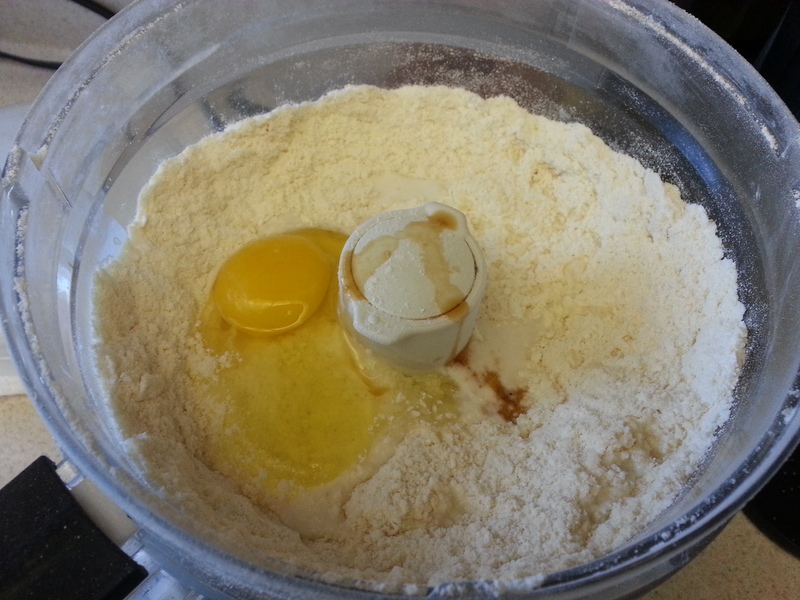 Add the butter to the flour mixture and pulse until a sandy texture is reached. 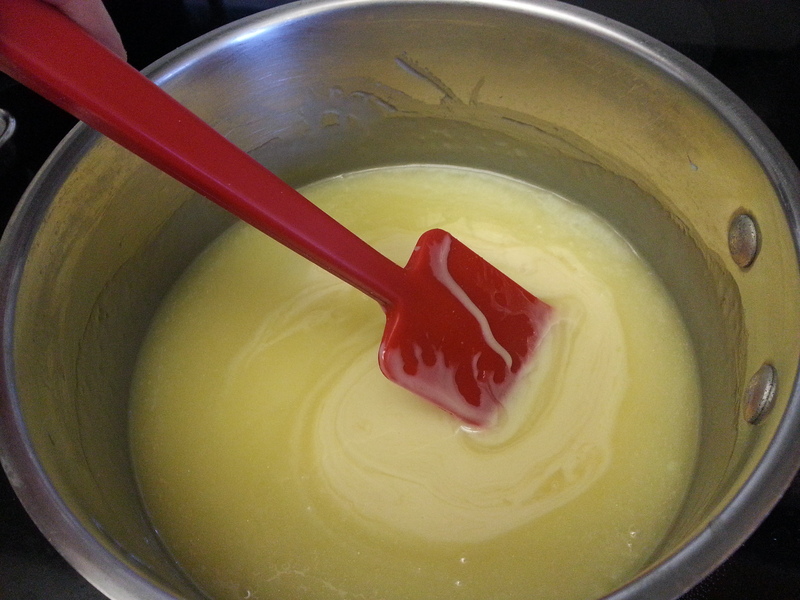 Add the egg, milk, and vanilla and pulse until everything is mixed well. The dough will look a little bit uneven and clumpy, but should not be sticky. Pat the dough evenly into a 9 x 13 in. pan and bake for 20 minutes, or just until the edges are light golden brown. 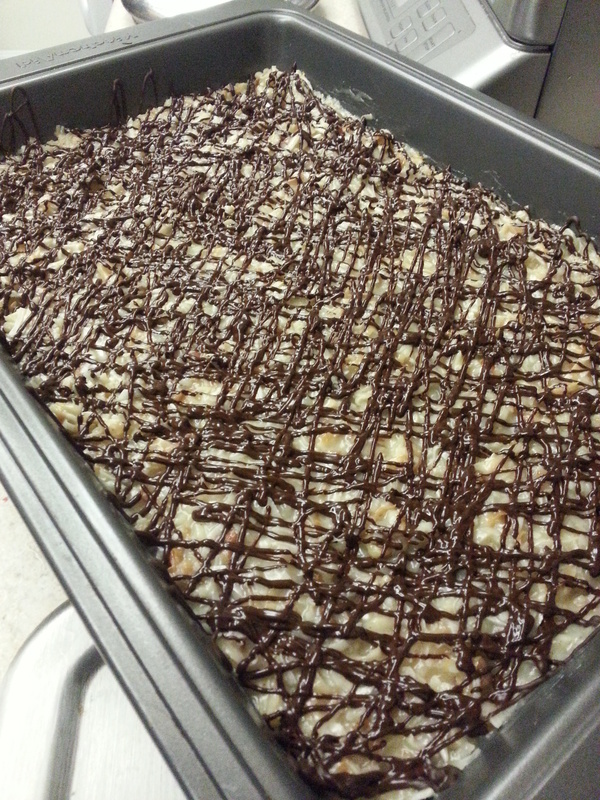 Set the pan aside on a wire rack while you make your caramel. 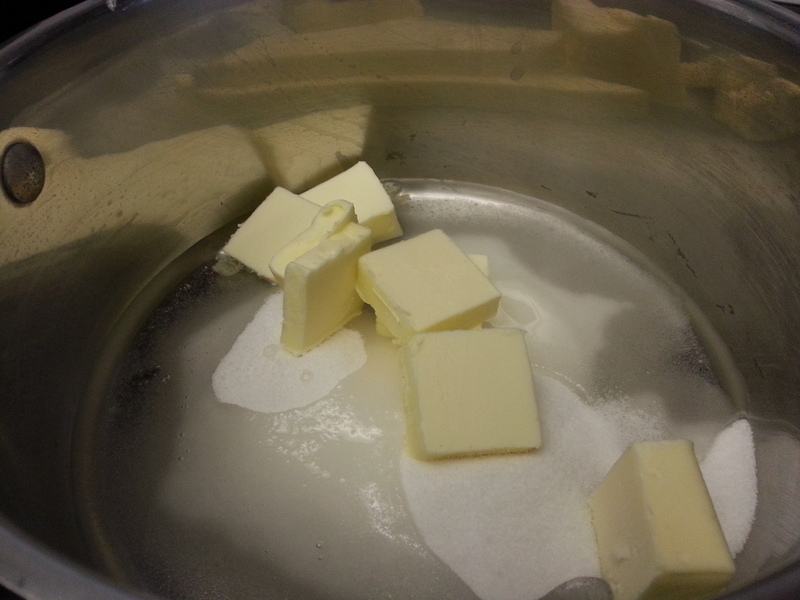 Combine the butter, sugar, corn syrup, and pinch of salt in a large saucepan set over medium low heat. Heat, stirring constantly, until the mixture comes to a boil. It won’t take very long—I was surprised. Continue to stir and boil for 3 minutes. 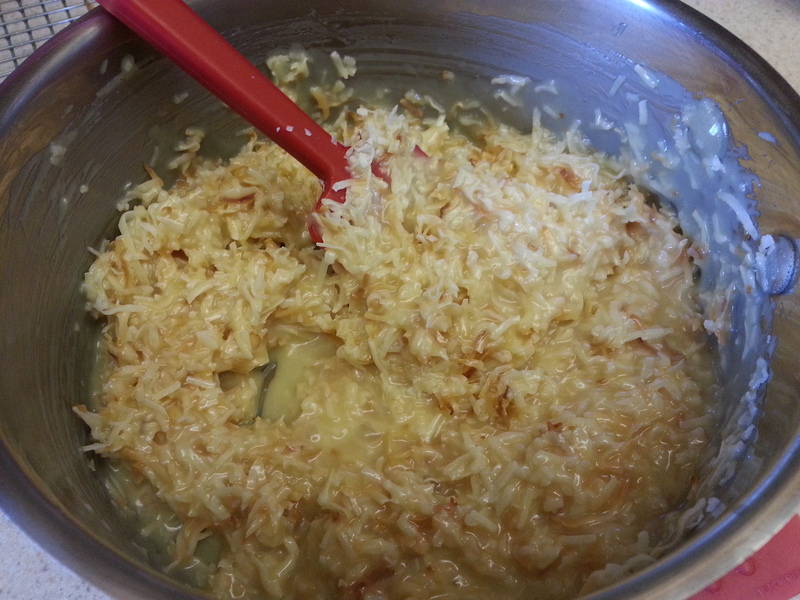 Add the sweetened condensed milk to the pot and continue to cook over low heat while stirring until an instant read thermometer reads 225-228 degrees. Spread the caramel over the cookie base evenly and allow to cool completely on a wire rack. I usually put the pan into the refrigerator once it’s not hot to the touch anymore. 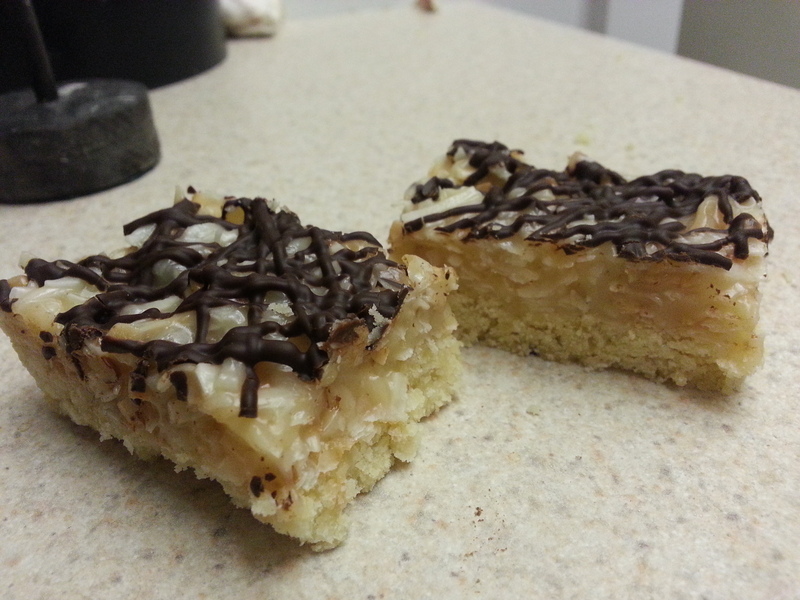 Finally, melt the dark chocolate over low heat, then drizzle over the cookie bars. Using the unsweetened coconut really keeps that caramel from getting cloying, and the dark chocolate plays nicely against both the buttery cookie and creamy, lightly salted caramel. 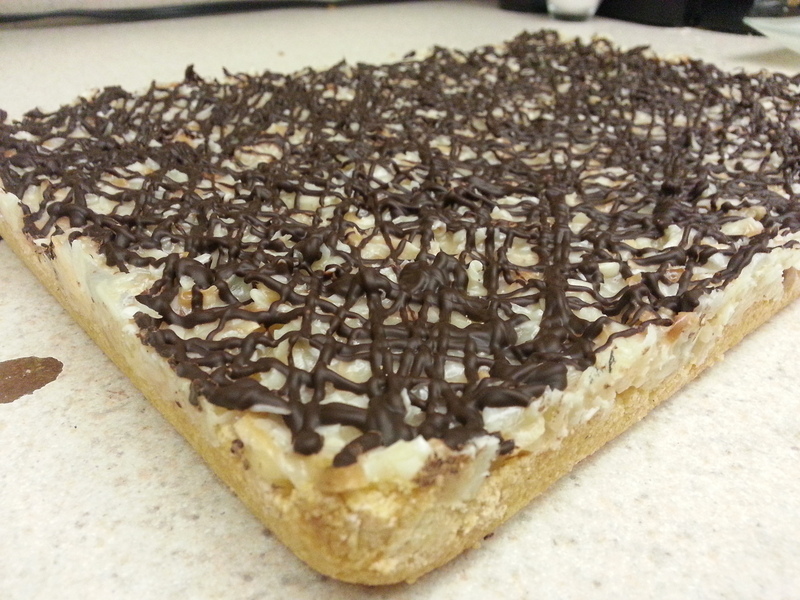 This is what I imagine would result if a Samoa cookie and a Magic cookie bar got into a brawl and somehow melded into one glorious item. 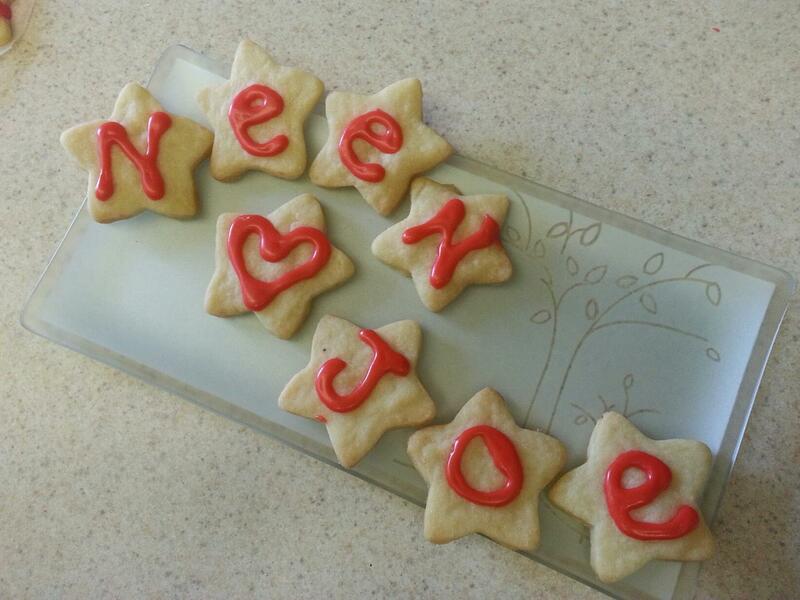 Come to think of it, shortbread was kind of a theme in February. The rest were mostly cut-outs with some very delicious frostings. 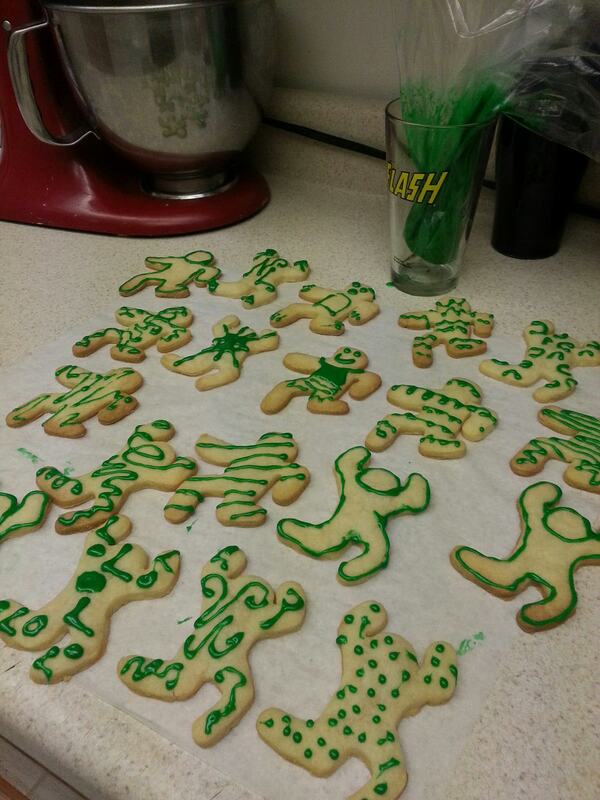 Here are some of the other creations that came out of me really not wanting to sit on a fractured / dislocated coccyx. The Detective is on the case! Not as sweet as he is, but pretty darn good! 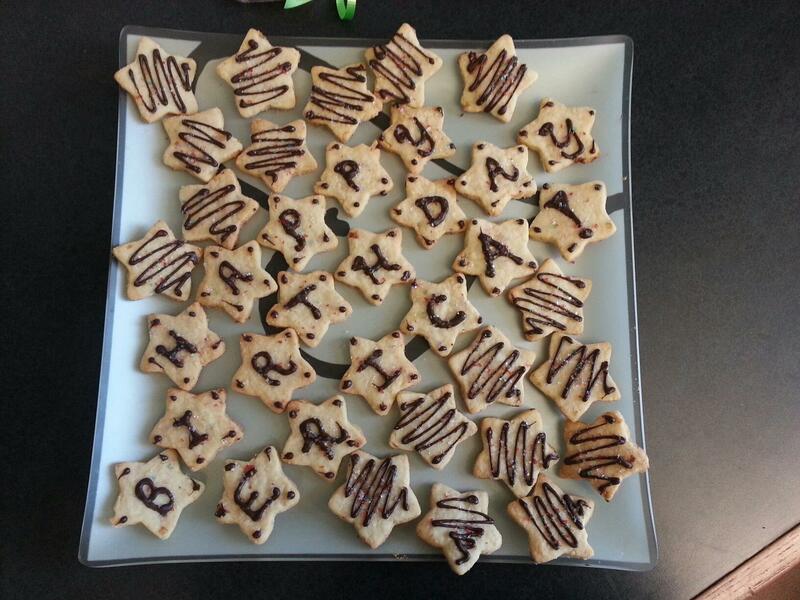 These were for my friend Erica’s birthday and were extra special. 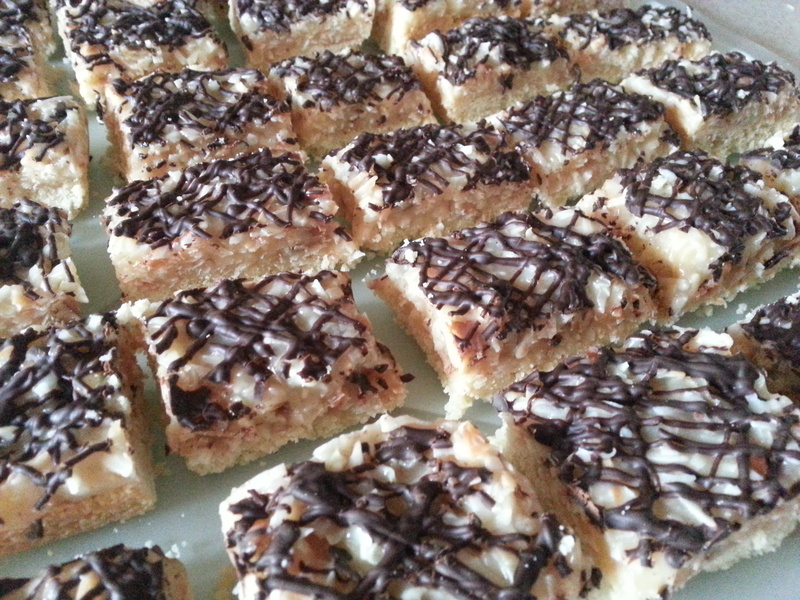 Coconut and macadamia nuts blended into the shortbread cookies, topped with dark chocolate. Hope you’re all having a wonderful start to the (early) spring!